LONDON (AP) — Rickets, the childhood disease that once caused an epidemic of bowed legs and curved spines during the Victorian era, is making a shocking comeback in 21st-century Britain. Rickets results from a severe deficiency of vitamin D, which helps the body absorb calcium. Rickets was historically considered to be a disease of poverty among children who toiled in factories during the Industrial Revolution, and some experts have hypothesized it afflicted literary characters like Tiny Tim in Charles Dickens' "A Christmas Carol." Last month, Britain's chief medical officer, Dr. Sally Davies, described the return of rickets as "appalling." She proposed the country give free vitamins to all children under 5 and asked the country's independent health watchdog to study if that would be worthwhile. Most people get vitamin D from the sun, oily fish, eggs or dairy products. Rickets largely disappeared from Britain in the 1950s, when the country embarked on mass programs to give children cod liver oil. But in the last 15 years, the number of reported cases of rickets in hospitalized children has increased fourfold — from 183 cases in 1995 to 762 cases in 2011. Experts said the actual number is probably even higher since there's no official surveillance system and it's unknown whether the disease has peaked. "It's very surprising to see this," said Dr. Mitch Blair, an officer for health promotion at the Royal College of Paediatrics and Child Health. "Children come in with bendy legs, swollen wrists and sometimes swollen ribs," he said. "This is not something we should be seeing because it's completely preventable." He said the condition was reversible once children start getting enough vitamin D, usually in tablets or injections. Blair cited a number of reasons for the jump in rickets, including changing cultural habits — like children spending more time playing indoors, the stringent use of sunscreen, and religious beliefs that mean skin is covered. Children with dark skin are particularly susceptible, since they need a higher dose of sunshine than pale-skinned children. Unlike in other countries like Canada, the U.S. and Australia, Britain does not fortify foods like milk or flour with vitamin D.
In the U.S., doctors said there has also been a rise in rickets, though there are no solid national figures to confirm it. Dr. Craig Langman of Northwestern University said some small studies suggested vitamin D deficiency was rampant in U.S. populations but that it was more common for doctors to see children with subtler forms of nutrient deficiency as opposed to rickets. "It's a product of our changed society," said Dr. Laura Tosi, an orthopedic surgeon at Children's National Medical Center in Washington, D.C. "Kids with rickets are children who don't have exposure to safe places to play and (who) stop drinking milk as soon as they're weaned," she said. Tosi said some well-intentioned public health campaigns — like the drive to remove flavored milk from schools — could hurt children's bone health. Tosi said the majority of children with rickets recover completely but the most severe cases could require surgery. "If the vitamin D deficiency is ongoing for a long time, these kids come in with horrific bowing of the legs and I have to think about breaking the bones to straighten them," she said. 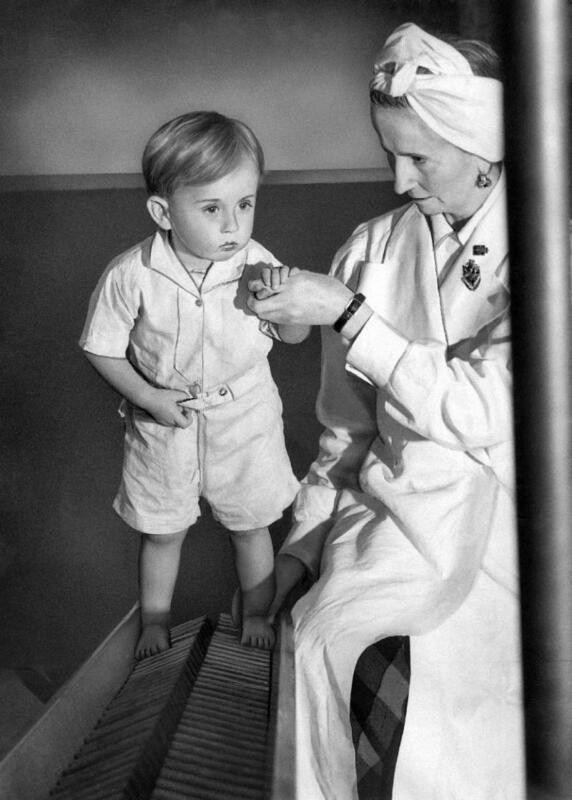 Tosi said the British suggestion to provide free vitamins for children might help combat the disease's resurgence. "There's only a limited amount of time to build up children's bones," she said. "Given how cloudy it is (in the U.K.), I hope they're supplementing their kids with vitamins."